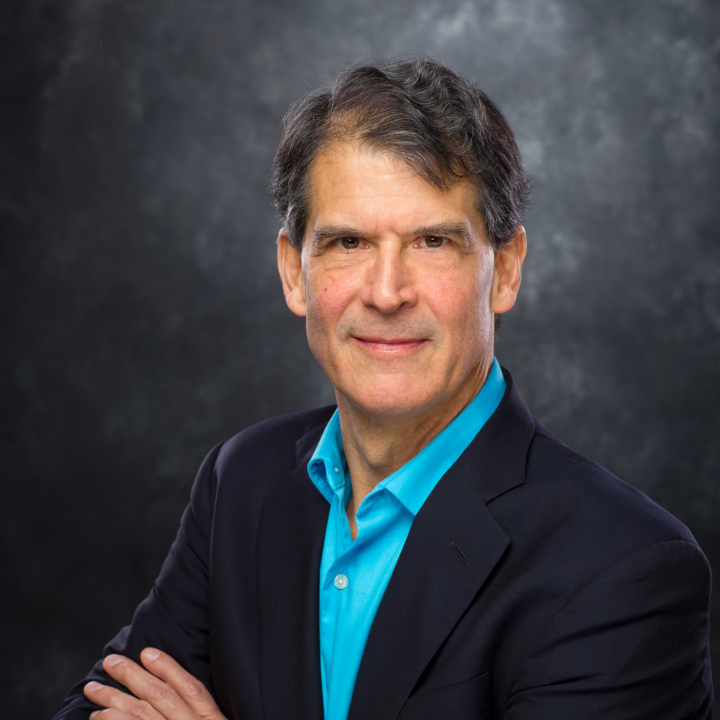 Dr. Eben Alexander had spent the first 54 years of his life engaged in modern neurosurgery, contributing over 100 peer-reviewed papers to the literature in his fields of interest (including stereotactic radiosurgery, advanced image-guided management of brain tumors and vascular lesions of the brain, deep brain stimulators in management of movement disorders, etc.). He believed the commonly taught assumption of modern neuroscience – that the brain creates consciousness out of physical matter – while also realizing that no one seemed to have the slightest clue how that might occur. His life was then radically shifted by a usually fatal illness, a severe case of gram-negative bacterial meningitis, one of the most devastating brain infections that one can have. Driven into coma within three hours of symptom onset, he languished deep in coma for seven days, going from a 10% chance of survival in the emergency room, to a 2% chance by the end of that fateful week, with his doctors associating no chance of recovery with that bleak scenario. His neurologic examinations, lab values, and CT and MRI scans during that illness revealed global damage to his neocortex, the part of the brain most responsible for the details of conscious human awareness (according to modern neuroscience), and the part most directly wrecked by such an infection. The extraordinary spiritual experience he reported in his first book, Proof of Heaven, was impossible according to modern neuroscientific principles, and yet it occurred. He has since joined a global cadre of scientists studying consciousness, realizing that the conventional notion of the physical brain creating consciousness is wrong, and that fundamental assumptions ingrained in 400 years of the scientific revolution are false. The primacy of consciousness in the universe has been suggested by the founding fathers of quantum physics, and is fully consistent with increasingly refined experiments in quantum physics in recent decades. His other books,The Map of Heaven, and especially his latest, Living in a Mindful Universe, co-authored with his life partner, Karen Newell, reveal this extraordinary emerging shift in the scientific understanding of the nature of consciousness, and, indeed, of all of reality. How did you get started in your business? What inspired you? My father had been the chairman of a neurosurgical training program, and a globally renowned neurosurgeon. I followed in his footsteps, realizing what a fascinating and challenging field it was. He was a marvel to me, and served as a mentor and role model in pursuing my career to help change neurosurgery for the better, and especially to improve the plight of so many neurosurgical patients facing life-threatening situations, like malignant brain tumors and devastating brain hemorrhages. After my near-death experience in 2008, my new work began to emerge. I felt compelled to write down my story, first for myself and my own understanding. The realization four months out of the identity of the beautiful guardian angel who accompanied me, as well as the similarity of my experiences to so many others, energized my desire to further investigate and share my NDE. As others heard about my experience, including scientists studying such phenomena, they encouraged me to write a book for the general public. The positive public reaction to my first book and insights from my continuing spiritual journey convinced me that I could have a greater impact on individuals and a wider audience by transitioning out of daily medical practice and into the field of writing and teaching. Through honoraria for speaking presentations and workshops, as well as royalties from sales of my books, the first of which has been translated into over 30 languages. I began giving talks about the implications of my experience over a period of two years before my first book, Proof of Heaven, came out. The time involved in giving these presentations, and in preparing my book for its launch in October, 2012 precluded my ability to continue serving neurosurgical patients (something one cannot do “part-time”). Proof of Heaven went to number one on the New York Times paperback bestseller list in its first week, and remained near the top of that list for almost two years (including over 40 weeks in the number one position). Proof of Heaven was widely recognized as a profound book about the modern scientific investigation into the nature of consciousness, and it served as a catalyst for synthesizing modern science and spirituality. When you were starting out, was there ever a time you doubted your business would work? If so, how did you handle that? When I first emerged from coma, I had no personal memories of Eben Alexander’s life before coma. In fact. I had no words or language, and did not even recognize beloved family members at the bedside. However, language returned very rapidly (over hours and days), with many other life memories returning over a few weeks, and with full return of semantic knowledge (of physics, chemistry, biology, cosmology, etc) over eight weeks or so. I first reported my NDE to my physicians, who assured me that my brain had been too damaged to have experienced anything during that week in coma. I defaulted to believing it had to have been a massive hallucination; after all, it seemed “way too real to be real.” But as I reviewed my medical records and CT/MRI scans and discussed my memories with my physicians, the ultra-reality of those deep coma memories became inexplicable within my conventional physicalist paradigm, and I knew I had to dig much deeper for answers. Although my physicians were most amazed by my inexplicable recovery, I was most amazed by the experience I had had, since conventional neuroscience would clearly state such an experience in such a damaged brain was impossible. In reviewing the rich scientific literature on consciousness (including an abundant scientific literature on paranormal or psi effects), and in the related field of quantum physics (which is the most distilled form of the mind-brain relationship), I came to realize that the entire scientific world was maneuvering towards a paradigm shift – all over the fundamental nature of consciousness itself. As fully explained in Living in a Mindful Universe, I was no longer alone in my discoveries about the fundamental reality of consciousness. My personal journey was aligning directly with findings by scientists working for more than a century to make deeper sense of the mind-brain relationship, and thus of reality itself. Participating in interviews, podcasts, conferences and workshops that explore much of the deep mystery of consciousness that has come to light over the last century or more. I feel my role is to help build a bridge between science and spirituality. And, any discussion with other interested souls, in whatever format, helps to awaken the world at large to this extraordinary revolution in thinking, that I believe is absolutely crucial for our survival as a species. We also created an online companion course to Living in a Mindful Universe entitled Your 33 Day Journey into the Heart of Consciousness. The completely free course (available at www.ebenalexander.com) allows participants to explore and apply the discussed concepts in their daily lives and to interact with like-minded souls from around the world. How best to manage fallout from a negative article that has influenced many in the general public. It was an ad hominem piece in 2013 that distorted facts about my life in an attempt to discredit my integrity, and as a result, many people either did not read or were not sure whether to trust my optimistic and heartening message about this unfolding scientific revolution and its revelations about our relationship with the universe. Such an article tends to eliminate my voice from this crucial discussion in the minds of those who are distracted by it. Beyond trying to discredit me, such a slanted article detracts from the more substantive issues that are so relevant today. Alarming increases in depression and suicide, including the ravages of the opioid crisis in the United States, as well as worsening economic polarization and rampant destruction of the environment through pollution and fossil fuel usage – these are, in many ways, the result of the false sense of separation we feel in our materialist culture. The awakening I discuss in my books and presentations is an emerging and conscious shift to restore a realistic sense of our unified spiritual nature back into our culture. We are truly responsible for our choices, both individually and as a culture, and my effort involves incorporating a more mindful and aware process of determining our emergent reality for the betterment of all beings, not just for a chosen few at the top of the economic and political power structures of this world. A more peaceful and harmonious world is within our grasp, but we must actively work to bring it to fruition. A heartfelt honesty about my life and experience that resonates with people at a deep level. Scientific materialism has led us away from the deeper truth about our nature as humans, and many people, especially more mindful and reflective seekers, are drawn to my story and message. They seem to recognize my message as something they’ve always known but which has not necessarily matched conventional views of the modern rational mind. I am particularly gratified by the number of scientists, including physicians, who are drawn to the world view I espouse, because it helps them to unify their own scientific and spiritual natures. I was very heartened to see the success of my book Proof of Heaven: such a resounding resonance with the world gave hope that we could make very real strides toward greater world peace, harmony and prosperity for all. However, Proof of Heaven was more a statement of the reality of such experiences, and a giant question mark as to the underlying truths about consciousness that my story, and many others like it, might reveal. Thus completion of my third book, Living in a Mindful Universe – which goes a decade further in defining the problem as well as indicating shifts in our assumptions that might lead to a richer, more comprehensive world view – has provided far more satisfaction than I originally derived from the acceptance of my first book. Endorsements for the third book from both spiritual and scientific global thought leaders have been most gratifying. Those scientists who study consciousness realize that an unprecedented understanding is upon us, one that offers great hope and optimism for the world we are creating. It is this idealist vision of our possible future that I find most exciting – that untold billions of humans yet to be born will have a far better and more meaningful life due to the awakening we are trying to bring to this world. Kelly, Edward F., Emily Williams Kelly, Adam Crabtree, Alan Gauld, Michael Grosso, and Bruce Greyson. Irreducible Mind: Toward a Psychology for the 21st Century. Lanham, MD: Rowman & Littlefield, 2007. Kelly, Edward F, Adam Crabtree, and Paul Marshall (eds). Beyond Physicalism: Toward Reconciliation of Science and Spirituality. Lanham, MD: Rowman & Littlefield, 2015.
van Lommel, Pim. Consciousness Beyond Life: The Science of Near-Death Experience. New York: HarperCollins, 2010. Dossey, Larry. One Mind: How Our Individual Mind is Part of a Greater Consciousness and Why it Matters. Carlsbad, CA: Hay House, Inc., 2013. How is any of this relevant to the individual reader? Modern culture is embroiled in a controversy that has arisen over centuries, if not millennia. Although some might default to believing this is a debate between those who believe in science, and those who believe in religion, it is actually a far more crucial discussion about the nature of reality. It is all about the relationship between the brain and the mind, about the fundamental nature of consciousness itself. And those who study this question most deeply are coming to realize that a tremendous revolution in human thought is imminent, one that I believe will make the Copernican revolution appear minor by comparison. This revolution is of tremendous importance to us all, because it helps define at a deeper level who we are, how we arrive here, and where this is all heading. Scientific investigation reveals real effects in examination of a whole host of examples of non-local consciousness, such as: telepathy, precognition, out-of-body experiences, remote viewing, near-death (NDE) and shared-death experiences, after-death communications, past-life memories in children indicative of reincarnation, etc. Findings from such research demand an enlarged world view, grander than our conventional reductive materialistic view, to more fully explain them. We are past the time of wondering whether or not these effects are real. Now we must move on to the task of trying to understand them. Given the implications that we are all part of one mind, that all of reality emerges from consciousness, and that these scientific studies support the reality not only of the afterlife but of reincarnation, each and every one of us would be wise to rethink their meaning for our own personal journeys. For example, the implications of connectedness and oneness press mightily towards our honoring the golden rule, that is, treating others as we would like to be treated. The empirical evidence suggests we will reap what we sow and that we are responsible for our choices (as revealed through the life review process reported by more than half of NDErs). As different facets of the one mind, this reality is built into the very fabric of the universe and should implore us to make choices based on feeling compassion, forgiveness, and mercy for all fellow beings. How we choose to live our lives depends very directly on recognizing the implications of this impending world view. How can the reader learn more? As one comes to realize that the brain does not create consciousness out of physical matter, but serves as a filter to allow in primordial consciousness (or collective mind), one comes to appreciate that mindfulness, or “going within,” is actually a way of going out into the universe and gaining greater wisdom about one’s purpose, and relationship with all that is. For those interested in the tools I have found most helpful, visit www.sacredacoustics.com. Beginning two years after my coma, I came to realize that mindfulness meditation and deep exploration of consciousness were the absolutely crucial next steps in my journey of trying to comprehend my NDE. The linguistic brain, and voice of the ego, are not the important pathways to this deeper truth about ourselves and our purpose. Rather, quieting the voice of the ego and allowing our awareness to access this grander consciousness offer tremendous benefits in the form of insight, guidance, clarity, health, and creativity – all of the tools necessary for growing into our highest potential as human beings. The answers lie within us all.